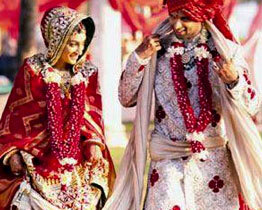 Come to the country of natural harbors, lagoons and pristine beaches which is one of the exotic venues for your wedding. 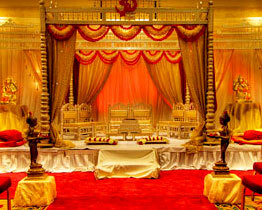 There are a variety of locations in Kerala from where you can choose your ideal location for wedding in Kerala. 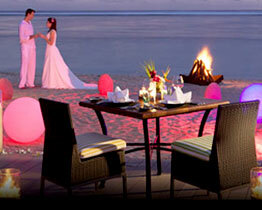 Kerala has world famous beaches and beach weddings in Kerala are quite popular. From the golden sands to the palm groves, the beaches of Kerala are beautiful and exotic. 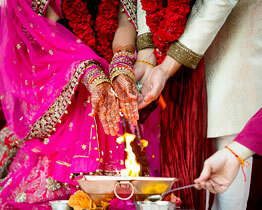 Choose your wedding venue from the innumerable beach resorts to houseboats and lakeside retreats in Kerala. The golden sands and blue waters instills in you a sense of romance and magic that makes your much awaited occasion special and memorable. For wedding in Kerala the beaches like Kovalam, Varkala, Somatheeram, and Shanghumukham are the ideal destinations for the tourists. Enjoy the setting rays of the sun as you exchange your vows for a lifelong journey filled with love and togetherness. One can go for English Weddings or Indian style weddings. The traditional wedding in Kerala is accompanied by folk music performance, floral decor, and bridal bouquet and groom's boutonniere. 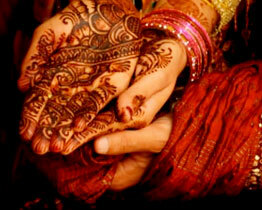 Traditional wedding in Kerala is an elaborate affair which goes on for more than a day. From exchange of garlands to the blessings by the priest, the traditional Kerala wedding involves everything. Finally groom ties the nuptial thread amidst the music of the band and the flowers are showered on the bride groom. If you wish to follow the traditional rules then you can ride an elephant to reach the bride's place or the decorated Pandal. The feast is generally served on banana leaves. The wedding ends with a performance of a classical dance troupe. The backwater destinations of Kerala are also quite popular as the wedding venues in Kerala. Amidst palm groves and emerald green waters, start your journey towards a new life and relationship. The houseboats in the lake are the ideal destination for the honeymoon couples.